This website is a great fan of speculation when it comes to the political ambitions of Abdullah Gül. The former president, foreign minister and prime minister gives plenty of cause for conjecture because he remains an altnative figurehead for the right-of-centre on the Turkish political spectrum, an area dominated by Recep Tayyip Erdoğan. There have been plenty of moments in recent history when observers of Turkish politics were left in a tizzy by the idea that the more moderate, liberal-minded Mr Gül might intervene over one contentious issue or another. Take the law that proposed sweeping government control of the Internet. Or the heavy-handed police response to the Gezi Park protests. Or the prospect of Mr Gül standing for a second term as president. In each case, Mr Gül held the power and influence to reverse the Erdoğan juggernaut; in each, Mr Gül chose to stand aside and keep out of Mr Erdoğan’s way. So these are all good reasons to wonder why Mr Gül should be thought of as an alternate leader for Turkish conservatism at all. But a political memoir published yesterday should give the doubters some pause for thought. The culture of a tell-it-all political memoir has never really established itself in Turkey. İsmet İnönü, who was Atatürk’s number two for many years and dominated Turkish politics until his death in 1973, published a large but incomplete tome. Mr Erdoğan has in the past spoken of writing up his memoirs when he retires, but that is unlikely to be anytime soon. Countless other political heavyweights – Bülent Ecevit, Necmettin Erbakan and Atatürk himself – died without committing their intimate thoughts to paper. So when an explosive memoir does come along, the hype can appear excessive. That is certainly the feeling of some about 12 Years With Abdullah Gül by Ahmet Sever, a longtime advisor to man himself. Some of the snippets published in yesterday’s newspapers contained things we already knew. Mr Gül and Mr Erdoğan gave conflicting orders to Istanbul’s governor in May 2013 over the treatment of protestors at Gezi Park, the book says. It also recounts how Mr Gül ordered Mr Erdoğan in December 2013 to sack Egemen Bagis, an Erdoğanite minister implicated in the corruption scandal of that year. And it confirms reports from just the month before that Mr Gül personally convinced Bülent Arınç, an outgoing deputy prime minister, not to resign after a very public row with Mr Erdoğan in November 2013. Other details were less public before. We learned that First Lady Hayrunnisa Gül was asked not to enter the presidential palace through entrances controlled by the fiercely secular military because she wore a headscarf. Mrs Gül is reported to have broken the embargo by driving herself through the checkpoint, with her husband in the passenger seat, to the bemusement of military officials. But most devastatingly of all, the book claims Mr Gül is stridently opposed to the general thrust of Turkish foreign policy and the particular form it took in Egypt and Syria. He felt Ahmet Davutoğlu, then foreign minister, was “behaving more like prime minister and foreign minister of Egypt and Syria than that of Turkey” and told him as such “a few times” in face-to-face meetings. I haven’t yet had a chance to read the 200-page tome – I’m told it’s winging its way to me as fast as the PTT will carry it – so I can’t speak for its content until I’ve read it myself. It’s worth noting that most of the commentary so far has been generated by the Doğan group of newspapers. The publishing house behind the book is also owned by Doğan, so the group could conceivably just be pushing its own book. The first is the way this memoir was published. Mr Selvi completed the book last year but held it back until after the election – on Mr Gül’s request. The author says Mr Gül was aware of the book’s content but insists it comes with neither an endorsement nor a denouncement. Mr Gül’s motives, as always, are open only to speculation – surely you don’t permit a book like this if you want a quiet, carefree retirement? The second development is the initial response to the book: no-one has had a chance to read it, but AK Party figures didn’t exactly keep their thoughts to themselves. Take the Erdoğanite MP Şamil Tayyar, who described it as a “hand grenade” thrown at the AK Party by Mr Gül. The strength of the source and volume of the response suggest this book is not a piece of idle speculation. 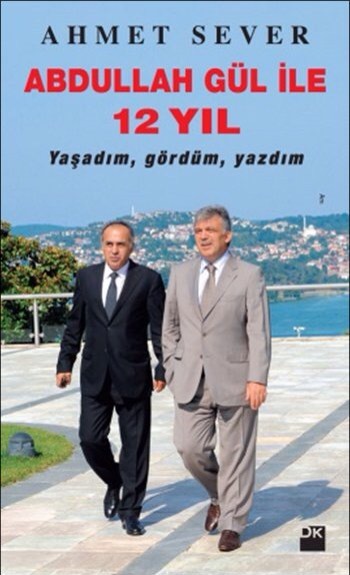 That raises two more questions: what else is in the book, and what does Mr Gül intend to do with it?